At Fashion Week in New York, weed hit the runway. While pot leaf motifs were at once on reserve for hippie and Rasta wear, now they have a place in high-end couture. The proliferation of marijuana legalization laws around the country and the fast paced growth of the cannabis industry have allowed the plant to become not just a political statement, but a fashion statement, as well. In short, cannabis is trendy. For Alexander Wang’s Fall/Winter 2016 collection, for instance, the designer dressed his models in miniskirts, graphic printed shirts, and faux fur coats, all adorned with cannabis leaf graphics. But that wasn’t all: In a corresponding ad campaign, he also featured models rolling joints. “It’s all about trying to make something more modern and chic that reflects who the cannabis user of today is,” says Pilar Johnson, an Etsy shop owner. Today’s cannabis consumer doesn’t fit into a single, flat stereotype. While the hippie, flower child aesthetic hasn’t gone anywhere per se, it has ceased to be as quintessential or indicative as it once was. Since American cannabis sales are expected to exceed $10 billion by 2018, there’s both a lot of money for people in cannabis in auxiliary industries to both make and spend. 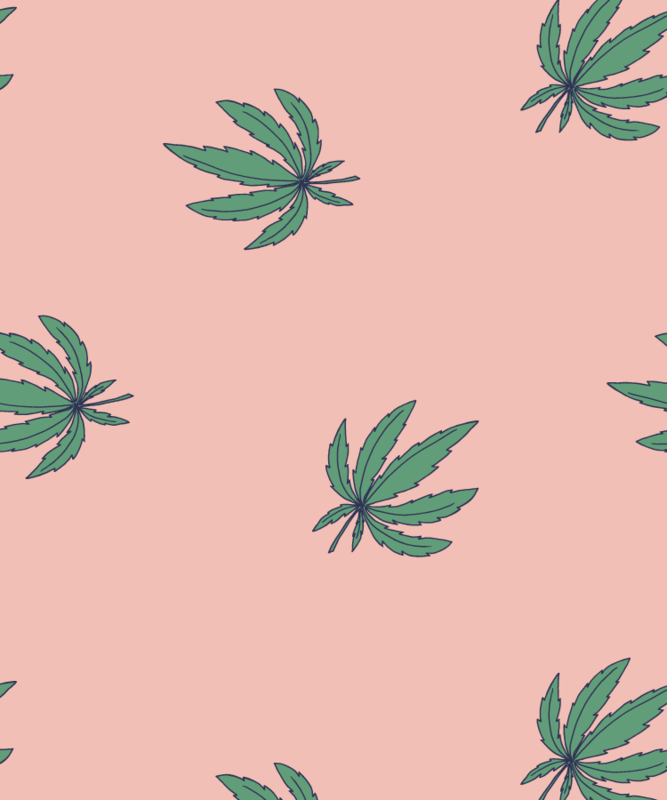 Higher end retailers like Barney’s or Fred Segal have long been carrying items like cannabis scented candles, hemp fabric clothing, pieces with cannabis leaf prints, or jewelry in the shape of the leaf. Los Angeles designer Jacquie Aiche’s “Sweet Leaf” collection is a quintessential example of how cannabis has come to occupy a budding and ever growing role in trends and fashion. Branding experts have come to re-conceive of cannabis as both a wellness product and a luxury good. From studded vape pens to Italian leather odor-proof purses, small batch, sun grown boutique cannabis strains to 420-friendly fashion boutiques, fashionable, goal-oriented, professional women have elevated the status of the cannabis plant from a street drug to a public statement. @bergdorfs features #Fall2016 Look 04 in their Fall Collections issue. Label Creatures of the Wind this season featured an embroidered cannabis leaf jacket, which picked up on previous motifs from its pre-fall collections in which weed leaves were also embroidered onto t-shirts and accessories. While some department stores, such as Neiman Marcus, have been slow to adopt the trend — sticking to more subdued cannabis candles, for instance — each year, cannabis couture is becoming less and less controversial. With people willing to put down significant money on cannabis themed products, it’s hard to say weed is only on reserve for the counterculture.